It’s spring and for many that means gardening! Most of us have at least heard of compost, but we really may not know much about how it helps the soil, what should – and should not – go into compost and how to effectively use it once we have it! So. What is compost? Put simply it is decayed – and decaying – organic matter which improves the soil structure and has other benefits for plants. Humus, on the other hand, is well-decomposed plant and animal matter that resembles dark coffee grounds. 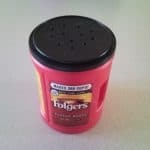 It is aromatic, lightweight, and spongy – allowing it to hold water. The terms ‘humus’ and ‘compost’ are sometimes used interchangeably. 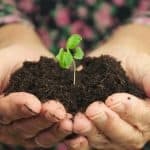 Why is composting important? Compost does much to increase the health of the soil. It increases the number of microorganisms in the soil, which in turn boosts the number of bacteria, fungi, and other organisms which become food for predators. The soil microbes help protect your plants from pests and diseases. 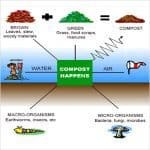 For detailed information on all the benefits composting provides check out How to Make and Use Compost : The Ultimate Guide. Don’t have space for a compost bin? 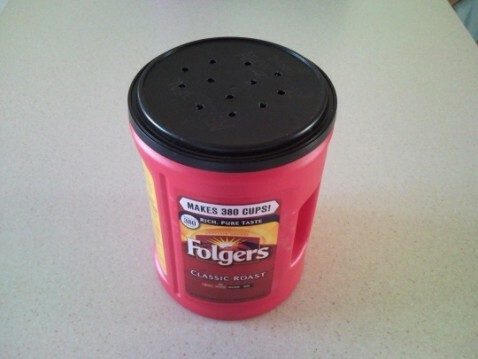 Make one sized for the kitchen! Did you know there are different types of composting? 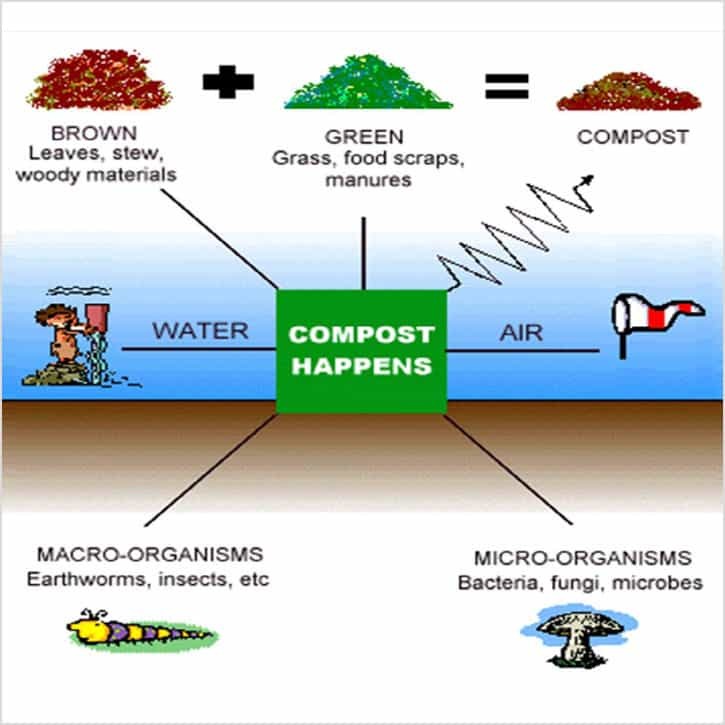 Heat (or thermophilic) composting uses the heat released by microorganisms as they break down organic matter. When the compost heats up sufficiently it will kill weed seeds and pathogens. Cool composting may take 6 to 12 months (or longer) to produce usable compost, but has the advantage of needing no maintenance. Even without turning and adding moisture the (cold-loving) microorganisms will continue to break down the refuse. Then there is vermicompost – a compost pile where certain worm species are used to consume and convert the organic matter into useful organic fertilizer. Vermicomposting can even be done in a simple indoor, household worm bin (yes, really!). There is also sheet composting – simply spreading your organic matter on top of the soil in sheets, where it then decomposes right where you need it. There are several ways to contain the compost. Building a box or fenced in area is a nice way – if you have the space. You may purchase compost bins – including ones that are meant to be turned and rotated – to help keep the compost aerated. However, purchased bins can be expensive. Don’t despair! 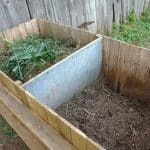 If you’d like to begin composting but don’t have much space or money, here’s an easy DIY for you! The video, below, shows an easy way to make a compost bin using a garbage can. It is recommended that you put your new compost bin on cement blocks to let the air circulate through the holes in the bottom. The gentleman presenting the video talks about a 50/50 ratio of brown to green. For more information about what that means check out the paragraph about what goes into a compost bin! Want to try vermicomposting (that’s the one with worms, remember!) 50 Green Projects for the Evil Genius will walk you through setting up your very own worm compost bin! Now. What goes into your compost pile or bin? You may hear that there is a desired ratio of “browns and greens” when composting. But what does that mean? Better terminology would be “high nitrogen” (green) and “low nitrogen” (brown). The terms “brown” and “green” are helpful, however. Browns are plant material that are, well, brown. Fall leaves, wood products, straw… And greens are, well, green. Fresh grass clippings, freshly picked weeds, and most kitchen scraps (even if they aren’t green….). 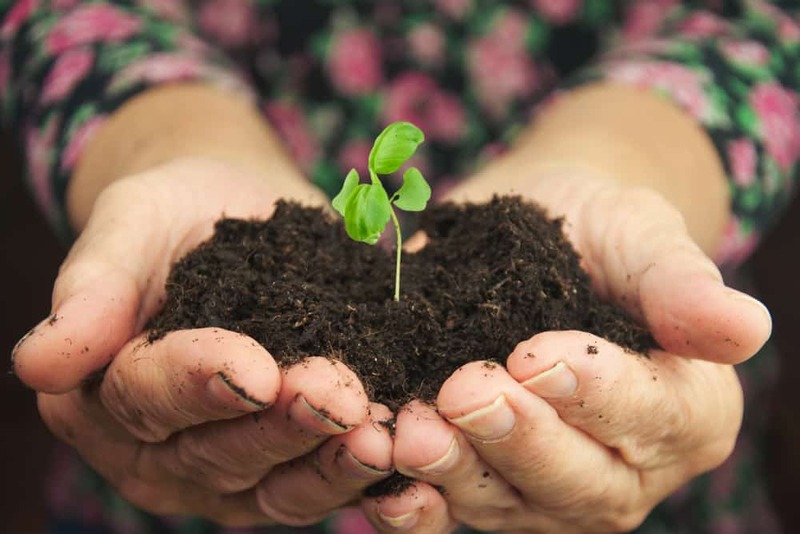 For more complete information about the C:N ratio (carbon to nitrogen) check out Compost, Vermicompost, and Compost Tea : Feeding the Soil on the Organic Farm. What Goes In the Compost Pile? Kern County Waste Management. There are things that should not go into a compost pile – don’t add meat scraps and bones – they attract rodents, and no one wants that! Surprisingly, it is recommended you don’t add citrus peels or onions! Onions and citrus are both acidic and can kill the worms and microorganisms on which your compost pile relies. You’ll also want to be wary of composting weeds – you don’t want to replant them when you use the compost! Lay them out in the sun (on a shed roof, a drying frame, etc.) and when they are brown, dry, and brittle – toss them in your compost bin! There are so many things that can be composted – shredded paper bags, stale crackers and cereal, used paper plates (without a wax coating), wine corks and toothpicks, old cotton or wool clothing (cut into small pieces), newspapers …. For a lengthy list check out 100 Things You Can (and Should) Compost. Okay. That’s a lot of info about composting. So, what do you DO with all the compost you’ve been diligently making? 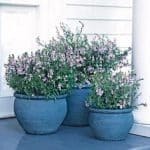 Just as there are differing types of compost piles and bins, there are different types of gardening. There are conventionally dug gardens (gardens in which the soil is turned by fork, spade, rototiller…) and no-dig gardens (which are just that – gardens in which you do not turn the soil). There are advantages to the no-dig garden – besides the fact it is less work! For one thing, you don’t disrupt the earthworm aeration tunnels, nor do you slice the worms in half! By digging your garden you increase the amount of oxygen in the soil which oxidizes more of the carbon which causes carbon dioxide to be released into the atmosphere. 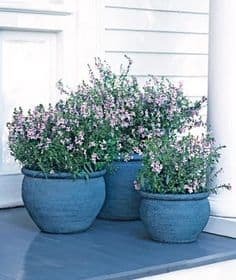 Don’t neglect your potted plants – add compost to them, too! In both types of gardens you can use compost as mulch and top dressing around growing plants. You can also use mulch on plants in containers – including indoor houseplants! If you are interested in learning how to make your own potting mixes check out How to Make and Use Compost : The Ultimate Guide. There are also instructions for compost specifically for cuttings and seeds. Now, go out and start that compost pile! Before you know it you’ll have great compost and a beautiful, lush garden! Bloom, Jonathan. Sept. 15, 2011. Americans Waste enough Food to Fill a 90,000-seat Football Stadium Every Day – What Can We Do About It? Alternet : Food. Pavlis, Robert. March 18, 2015. How to Compost: Browns & Greens. Garden Myths – Learn the truth about gardening. Gonzalez, Ramon. May 7, 2012. The Do’s and Don’ts of Backyard Composting. Treehugger : Sustainability with SASS. Recycling : Backyard Composting. 2017. Kern County Waste Management. Backyard Abundance. 2017. Johnson County, Iowa. Backyard Abundance. Winter, Catherine. May 23, 2016. 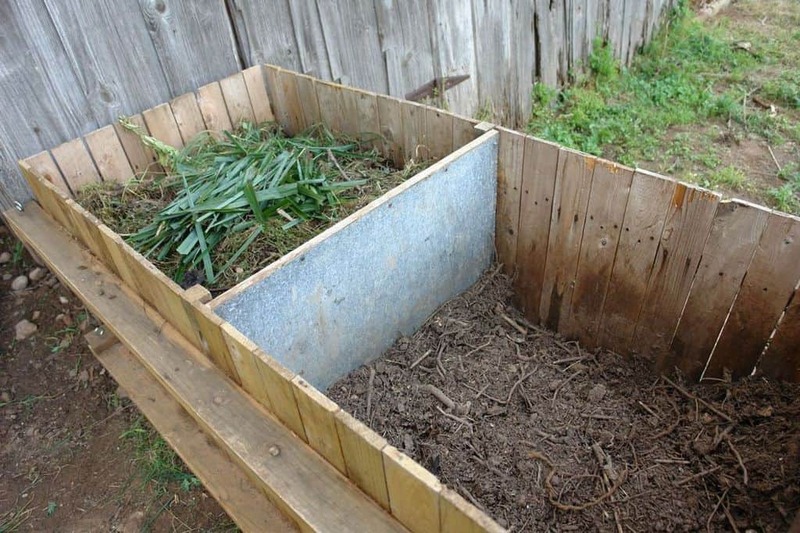 DIY: turn an old garbage can into a backyard compost bin. inhabitat.